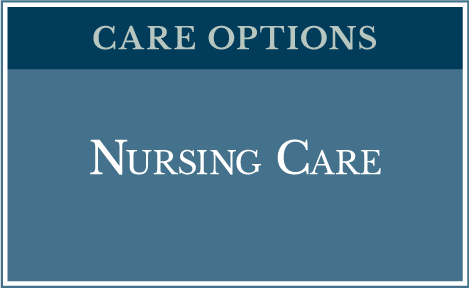 Nursing care at the Richfield Recovery & Care Center is now even more personal. 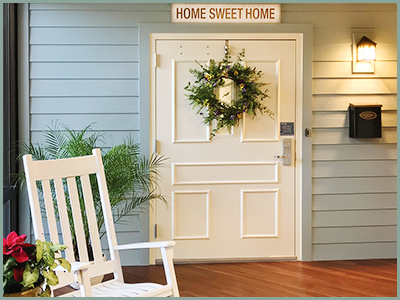 Mountain View Lane in the Richfield Recovery & Care Center is our first milestone in providing skilled, person-centered nursing care. 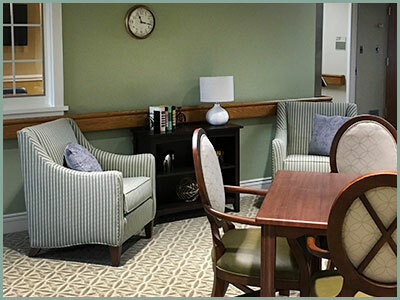 When the need arises for your loved one’s constant nursing care, the Richfield Recovery & Care Center provides comprehensive, skilled nursing care delivered 24/7 by a team of knowledgeable healthcare professionals. 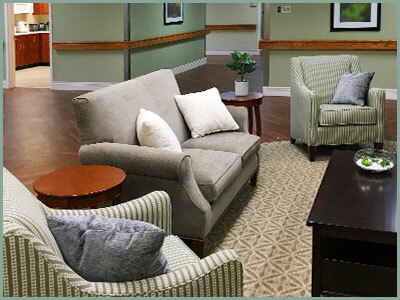 At the Richfield Recovery & Care Center, your loved one will receive personalized nursing care in a comfortable setting. 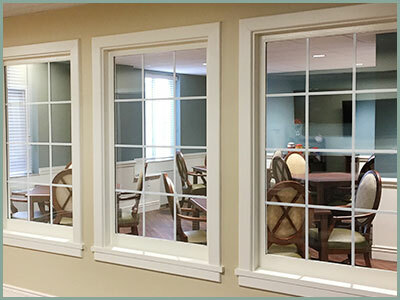 This is achieved by respecting and honoring the residents’ preferences in a more homey environment. Enter Mountain View Lane, which opened its doors in December 2017. 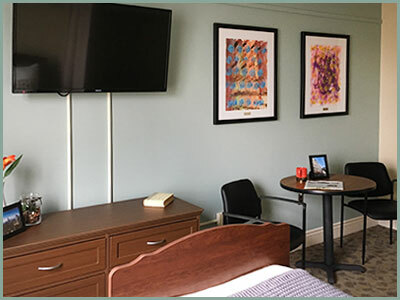 This private, pleasant environment honors and respects our residents’ wishes, giving them peace of mind afforded by compassionate, consistent, around-the-clock nursing care in a place of comfort. Click on the dots above to see pictures of Mountain View Lane! 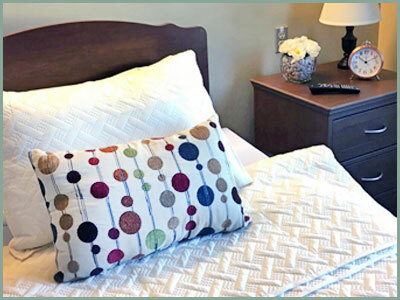 In addition to the homey surroundings, residents of Mountain View Lane have taken to owning their nursing care choices, as well as directing their daily routines. This includes deciding when to wake up, when to eat, and when to bathe. 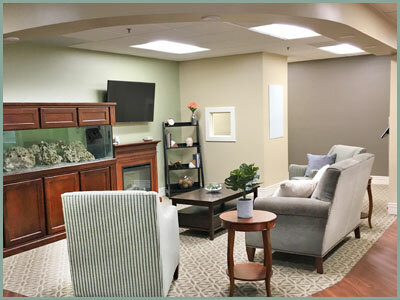 By flourishing in daily activities at The Richfield Recovery & Care Center, residents enjoy the sense of well-being that goes hand-in-hand with freedom of choice and quality of life. 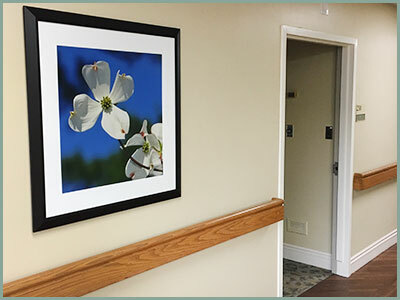 Get a feel for what we offer at Mountain View Lane by clicking on the photo gallery. And, if you’d like to see Mountain View Lane for yourself, please call Scotti Hartman, Director of Community and Provider Relations, at 540.380.6555. 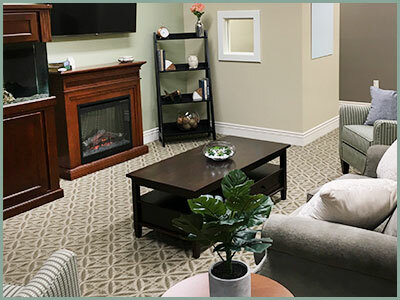 The Richfield Recovery & Care Center is licensed to participate in both the Medicare and Medicaid programs, and is a contracted provider for most major insurances and managed care plans. 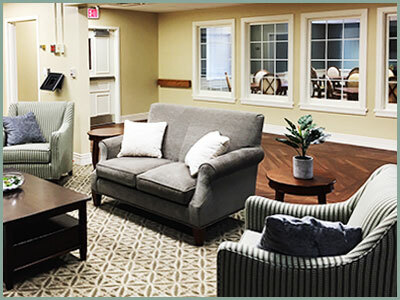 The Rehab Center at Richfield, licensed under the Richfield Recovery & Care Center, also provides short-term skilled nursing care and rehabilitation services to patients who are recovering from surgery, injury, or illness. 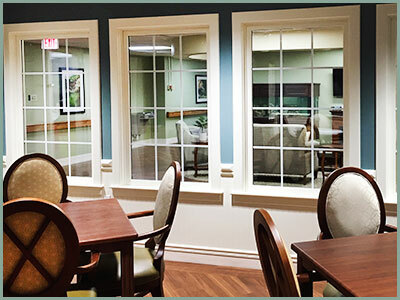 Moreover, our services offer a comfortable transition from a hospital stay to the patient’s return home. 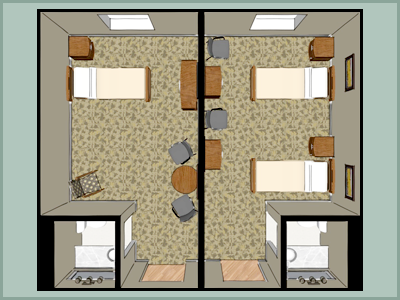 All private rooms are certified for Medicare Part A, private insurance, and Medicaid. 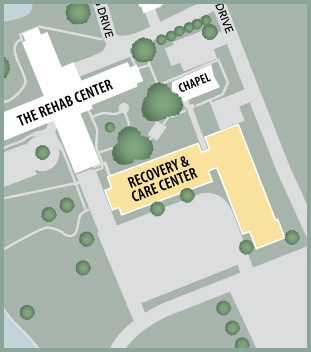 Scroll down for more information about Richfield Recovery & Care Center. 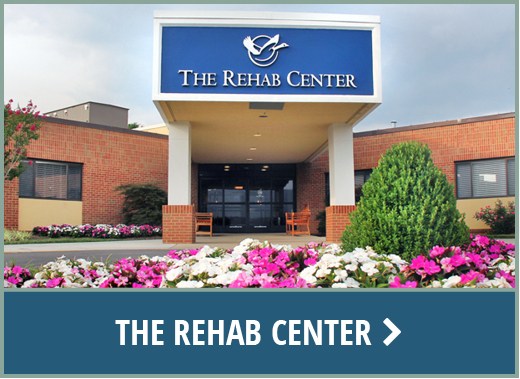 Click on the image to learn more about The Rehab Center. 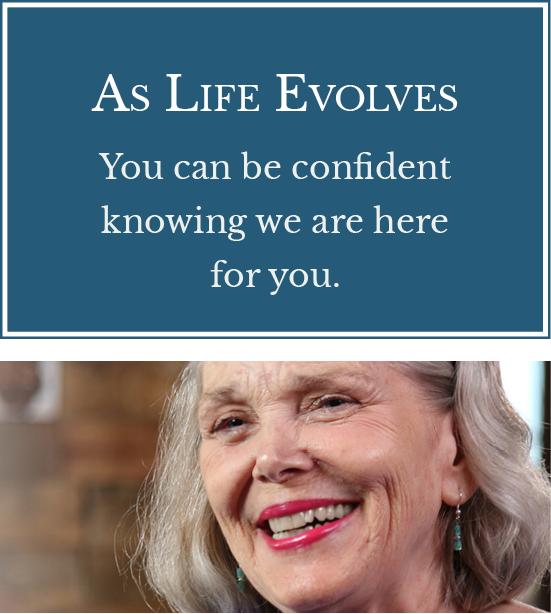 For more information, or to set up an appointment call 540.380.6555. The Goose & Gander Café, open to the public, is available to residents who want to enjoy meals with family, friends or on their own. 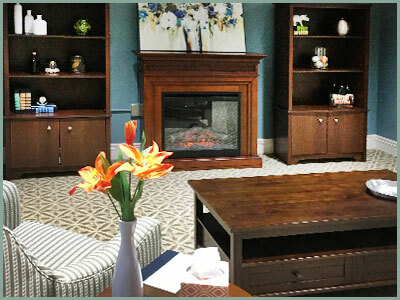 The Nifty Niche Gift Shop is located on the main floor of the Recovery & Care Center for the enjoyment of residents and their families. A variety of entertainment and recreational activities are offered on a regular basis. Beautifully landscaped grounds surrounded by magnificent mountain scenery.